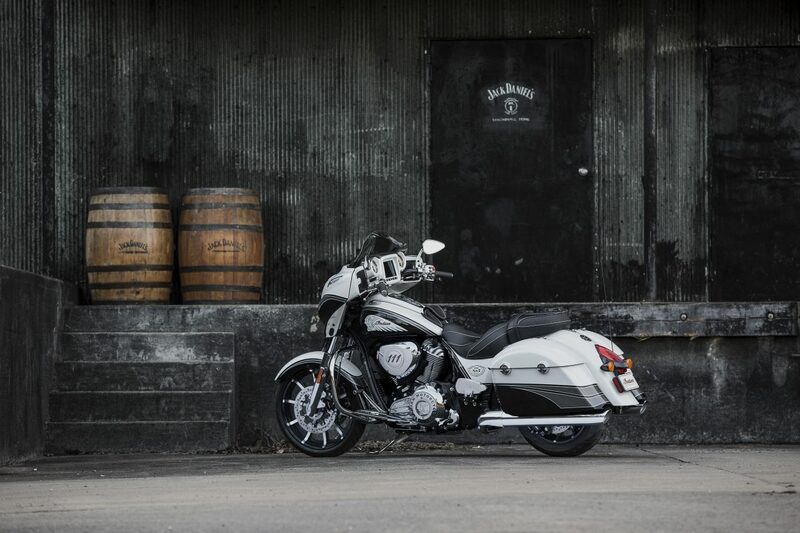 Indian Motorcycle is proud to announce the availability of 100 Limited Edition Jack Daniel’s Chieftain bikes with 10 of these going on sale in the EMEA region at 6pm CET on Tuesday 14th March. 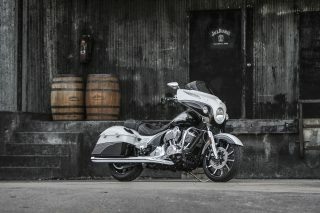 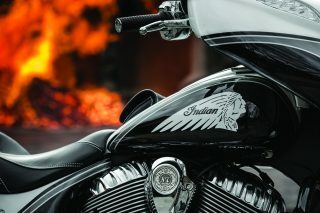 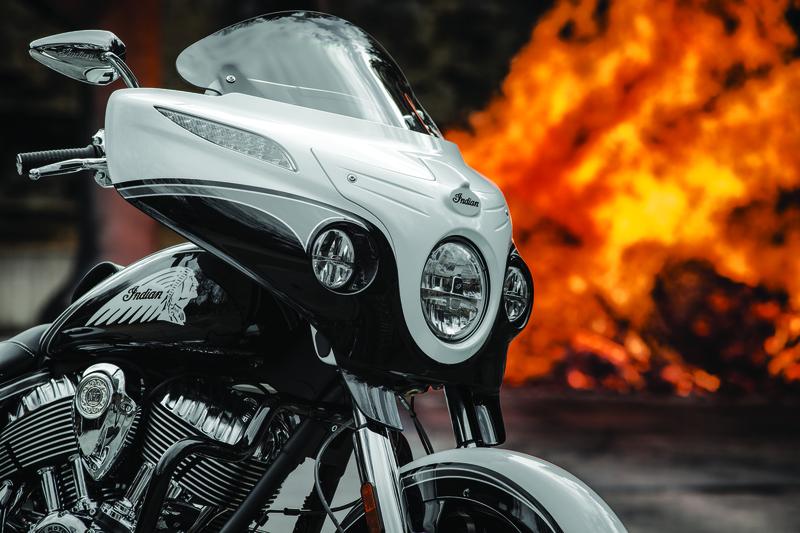 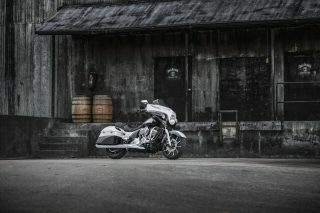 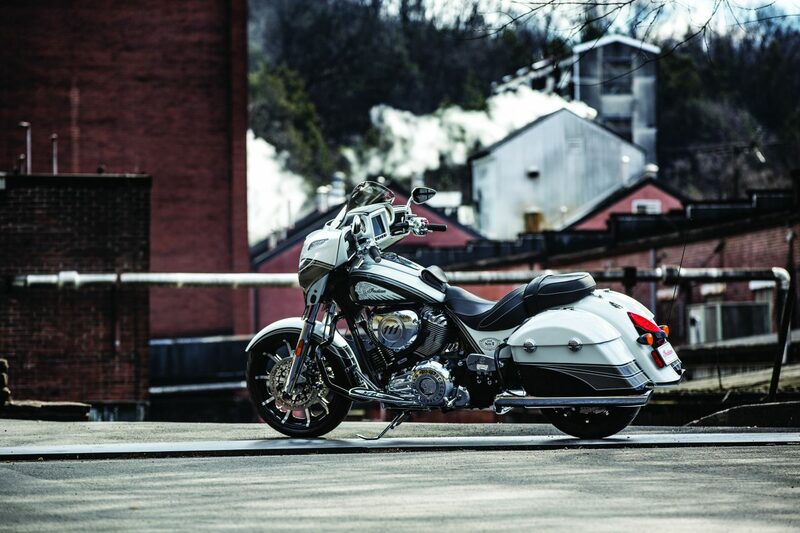 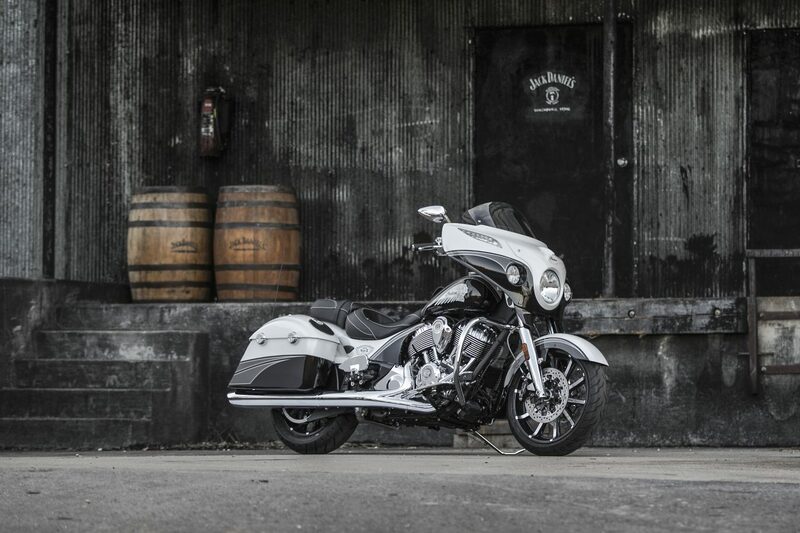 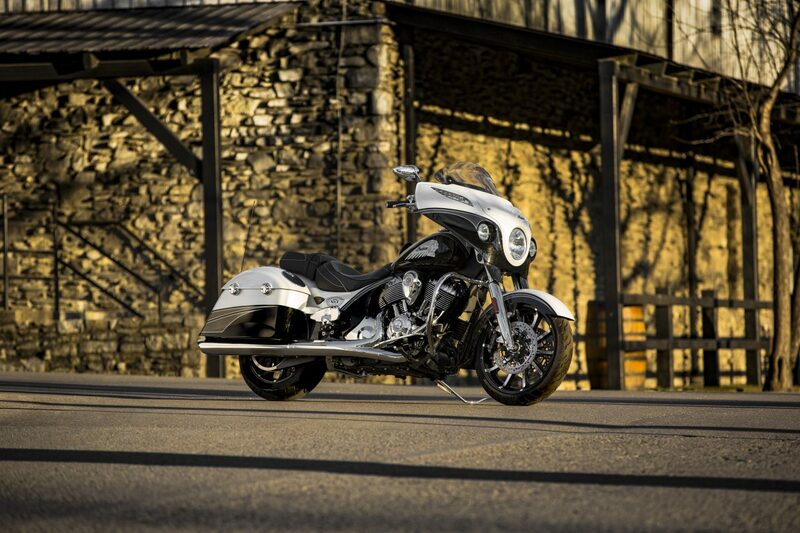 This latest limited edition marks the second year that Jack Daniel’s and Indian Motorcycle have joined forces. 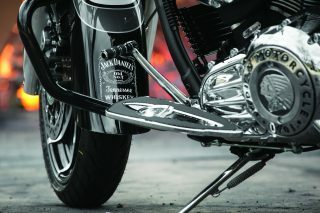 Last year all 150 Jack Daniel’s Springfield bikes sold out in just eight hours. In the same spirit this year, 100 Limited Edition Chieftain’s will be available globally with 10 of these allocated to select countries in Europe, the Middle East and Africa (see below). 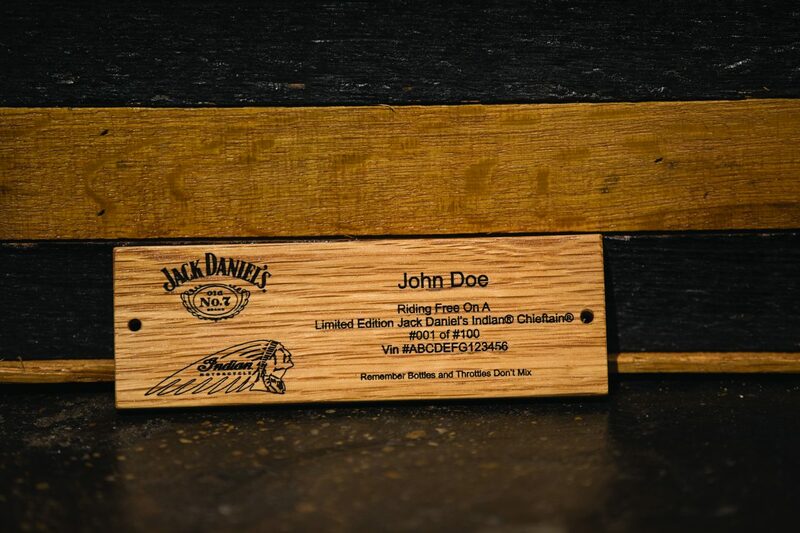 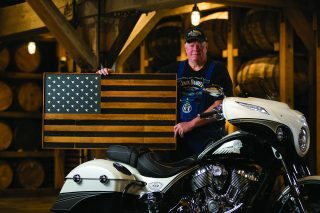 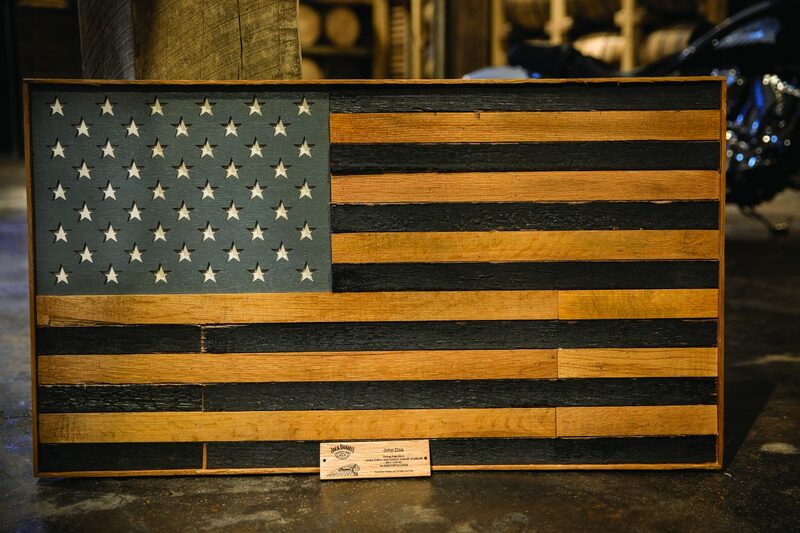 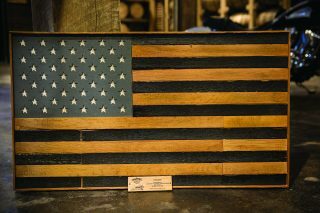 Each motorcycle comes with a commemorative American flag handcrafted out of Jack Daniel’s barrel wood that includes the owner’s name, motorcycle number and VIN. The individually numbered bikes come with a two-year unlimited mileage factory warranty and free membership in the Indian Motorcycle Riders Group (IMRG) for one year. – A one-of-a-kind white and black crystal paint job with charcoal colored accents inspired by Jack Daniel’s unique charcoal-mellowing process. 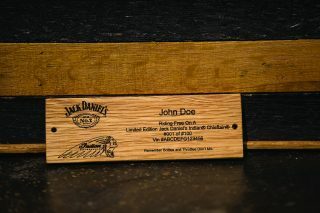 – A number of Jack Daniel’s “Old No. 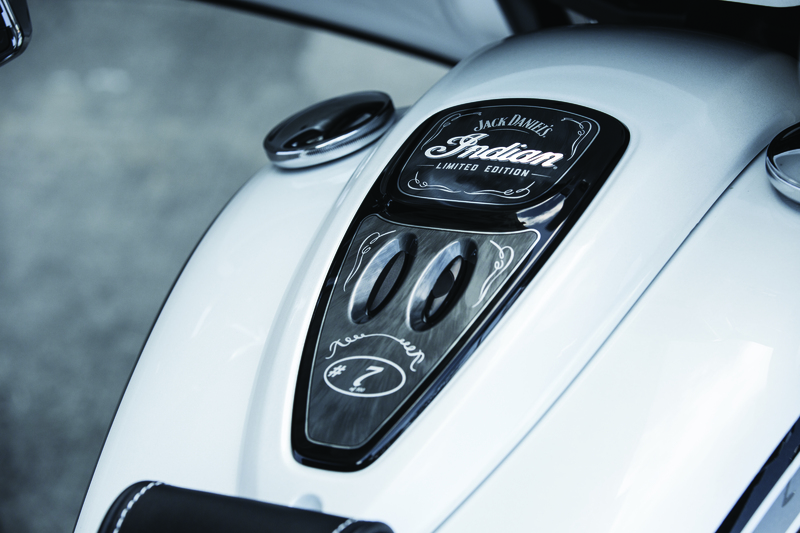 7” logos and custom badging is interspersed over the bike, including logoed billet driver and passenger floorboards, leather tank pouch, aluminium tank console with motorcycle number and unique cam, primary and air intake covers. 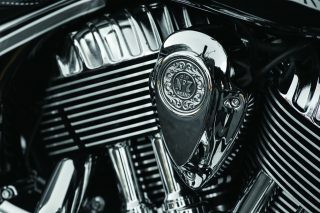 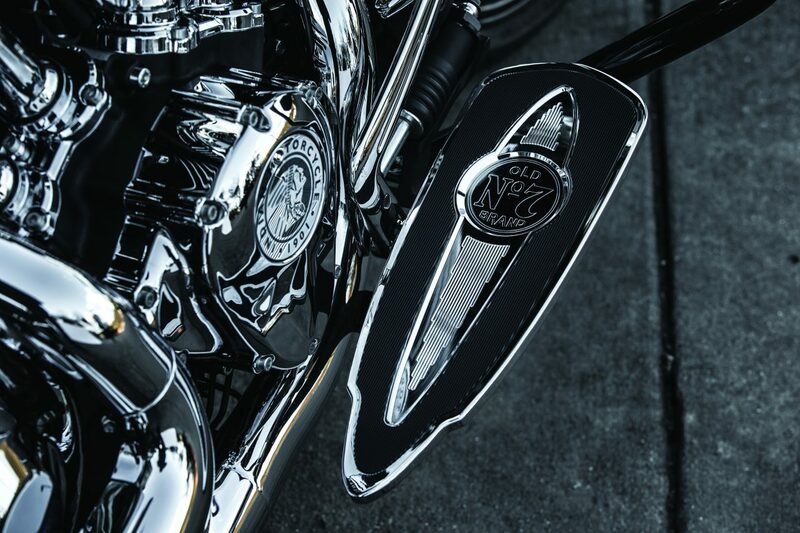 – The crowning detail is a handmade, pure silver Jack Daniel’s horn cover badge, hand-crafted by the team at Montana Silversmith, exclusively developed and produced only for this motorcycle. 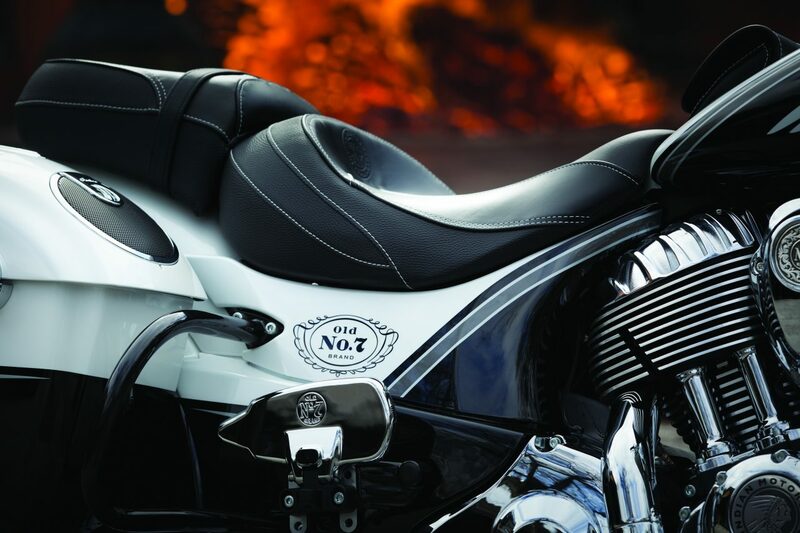 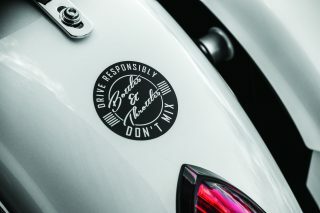 – The bike also carries an inscription of Jack Daniel’s “Bottles and Throttles Don’t Mix” mantra. 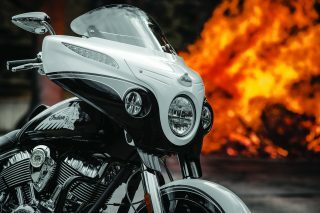 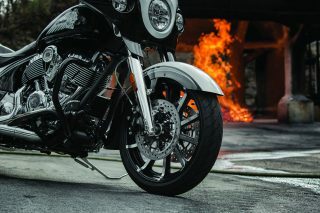 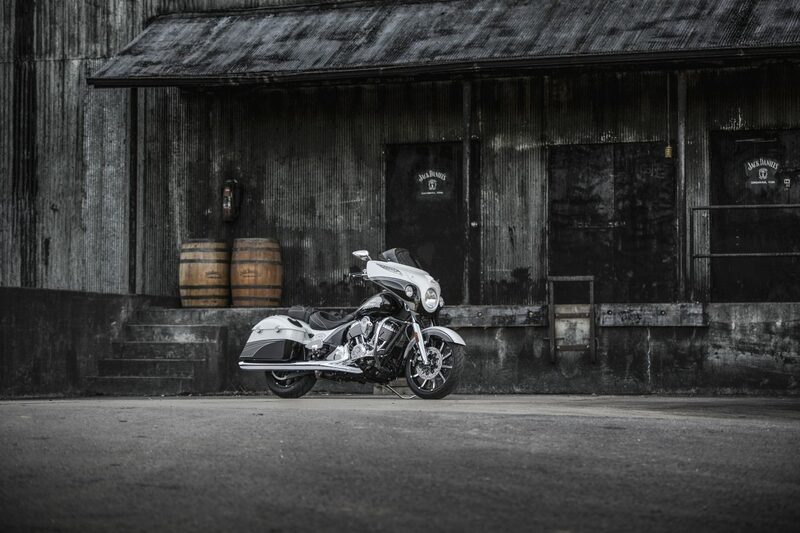 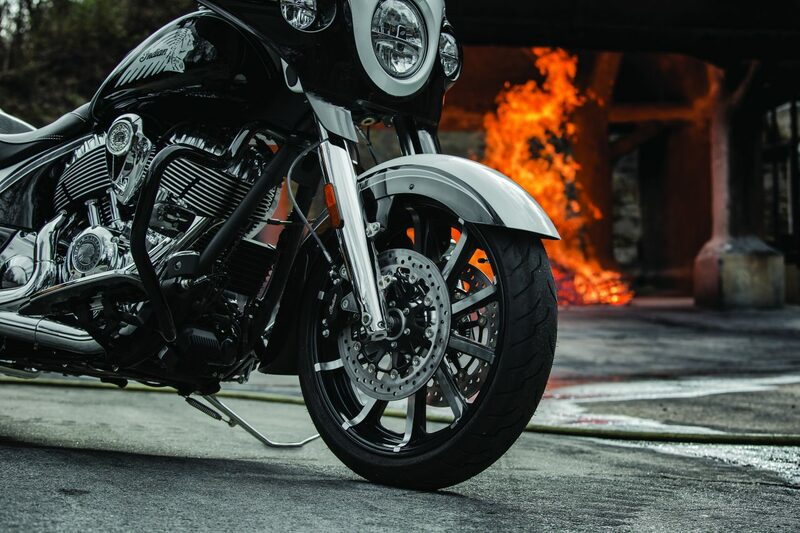 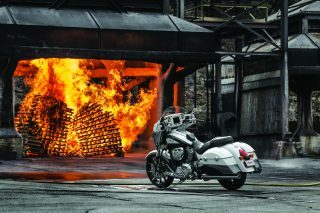 – The bike also features a 19-inch front wheel with an open fender and a host of premium touring amenities including LED headlight and driving lights, power adjustable flare windshield, gloss black front and rear highway bar, 200-watt premium audio system with fairing and saddlebag speakers, and Indian Motorcycle’s proprietary Ride Command infotainment system. 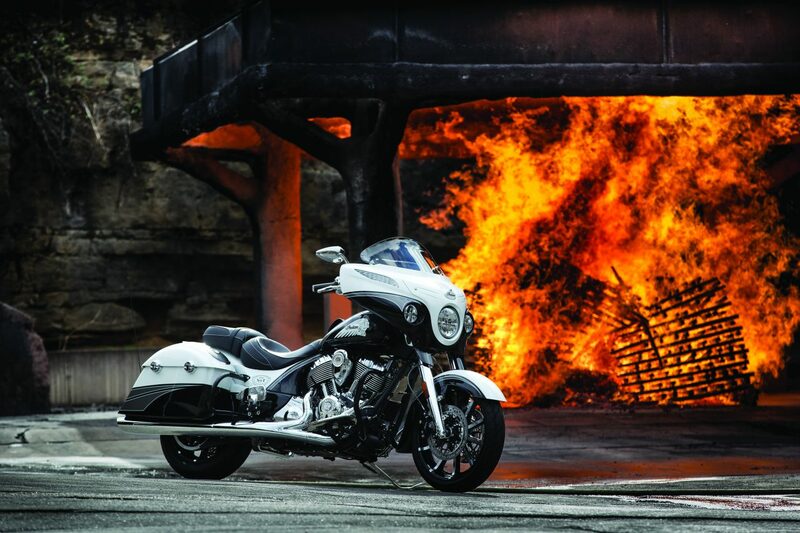 To order one of these highly sought after limited edition motorcycles please visit or call your local Indian Motorcycle dealership at 6pm CET on Tuesday 14th March. Delivery is expected to be August 2017. 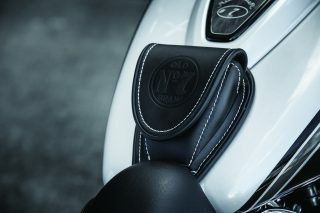 The 10 EMEA versions of this limited edition do not have the rear highway bar that the North American bikes have. Also, the front highway bar is chrome instead of the black one that’s on the North American version. 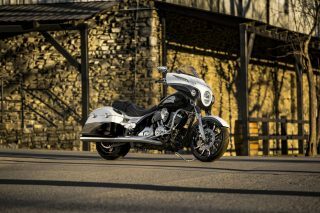 Pricing varies between these countries, but is expected to be around the €38,500 mark. 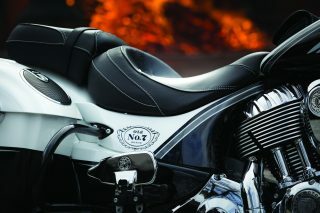 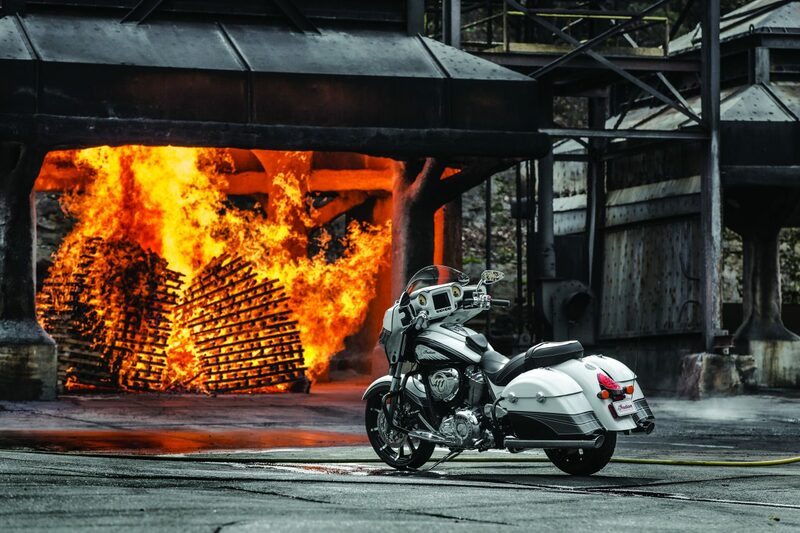 Note this motorcycle will not be on sale in France due to alcohol partnership laws.